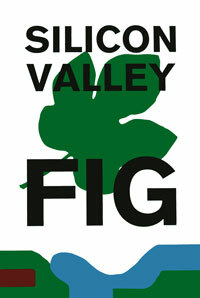 The Silicon Valley Forth Interest Group (SVFIG) is a local, non-profit organization of individuals interested in the Forth computer language. SVFIG maintains a mail list and holds monthly meetings, including an annual Forth Day in November. Andreas Wagner is offering copies of Starting Forth and the Book of the Month for $10 each at SVFIG meetings. 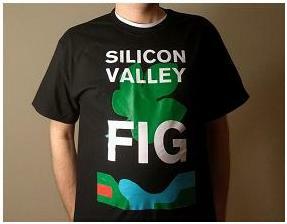 Brad Nelson is selling high quality black t-shirts sporting the SVFIG logo for $15 each, $3 additional for shipping. This is an unpublished book that Chuck wrote around June 1970, just after he'd programmed the first versions of Forth. This pdf version has been cleaned up and reformatted by Juergen Pintaske. A list of SVFIG officers, members with e-mail addresses, and members willing to help with Forth-related problems. Employment opportunities will be posted on the mail list and archived here. Electronic and computer hardware for sale, trade, or loan. Books, manuals, or other printed material for sale or giveaway. SVFIG gratefully acknowledges and appreciates the continued support of Skip Carter of Taygeta Scientific Incorporated who hosts this website.